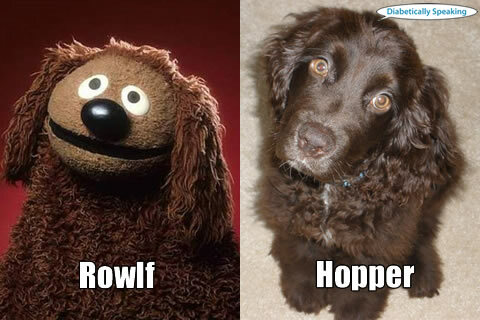 Hopper is TOTALLY Rowlf!! I think it’s more than just the physical resemblance, his overall excitement, enthusiasm and joy is very Muppet-y. This is awesome, particularly the stat point. I tried a few “themes” over time, but just couldn’t get into them because it felt too scripted and rehearsed and I felt like I was obligated to follow my plan, even if I later didn’t want to. So I try to just go with the flow, writing whatever is needed at the time. Love the SOWIL concept, and I’m totally going to adopt that! Thanks for the post, my friend. Hope to get the chance to say hey in person at magical Disney someday! it’s late at night, and now i will be singing that ridiculous song in my sleep!!! i love it!!! mahna mahna! !